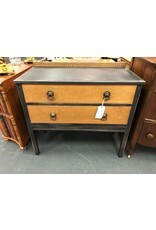 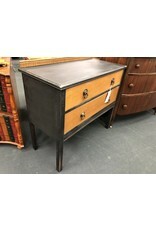 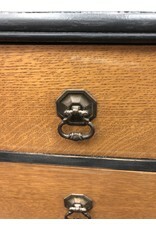 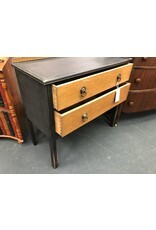 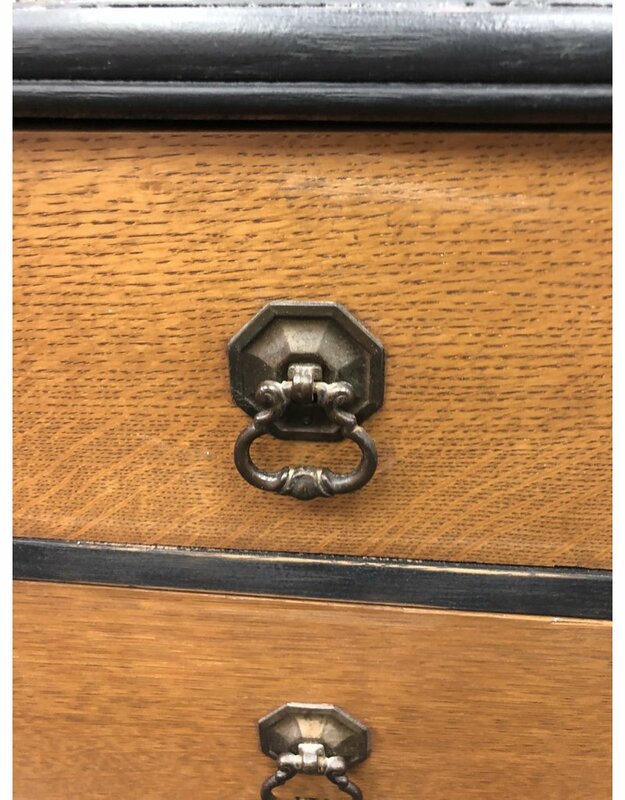 Vintage solid oak 2 drawer low boy dresser or small buffet that would make a lovely addition to your home. 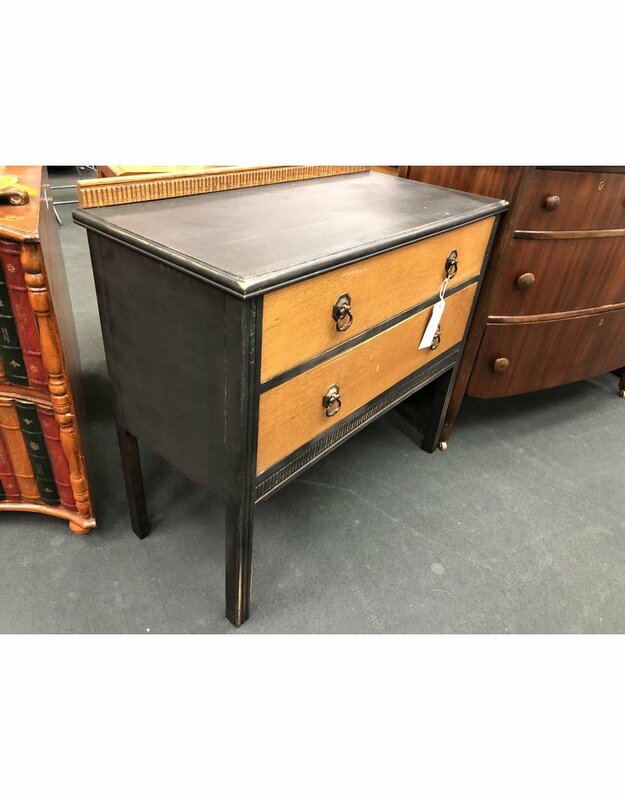 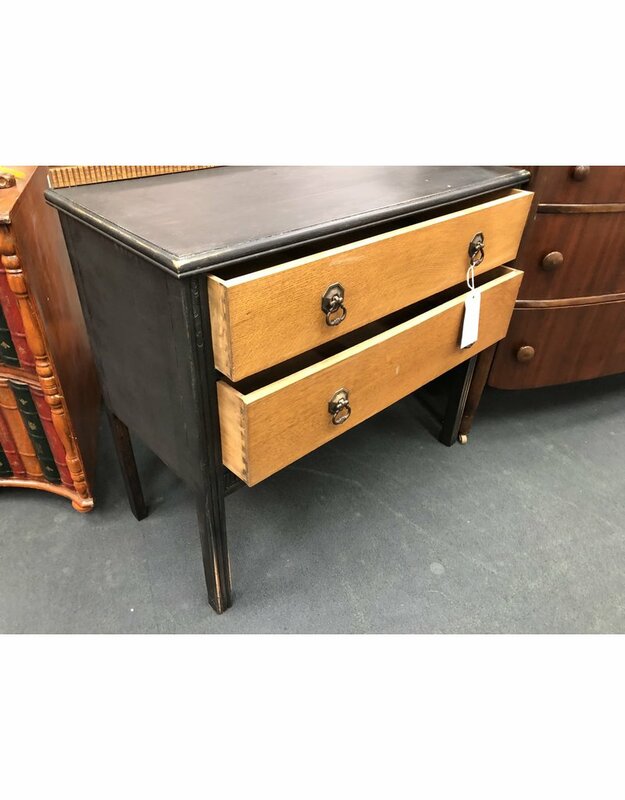 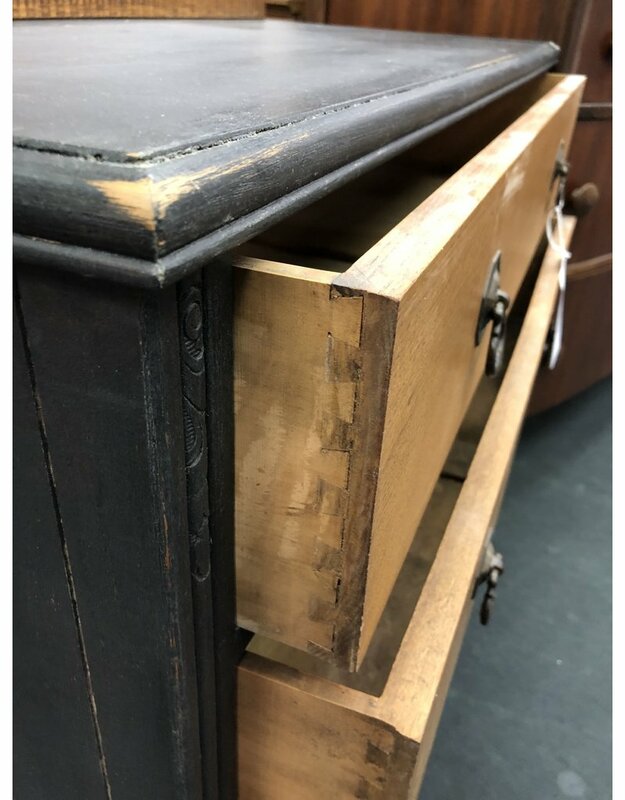 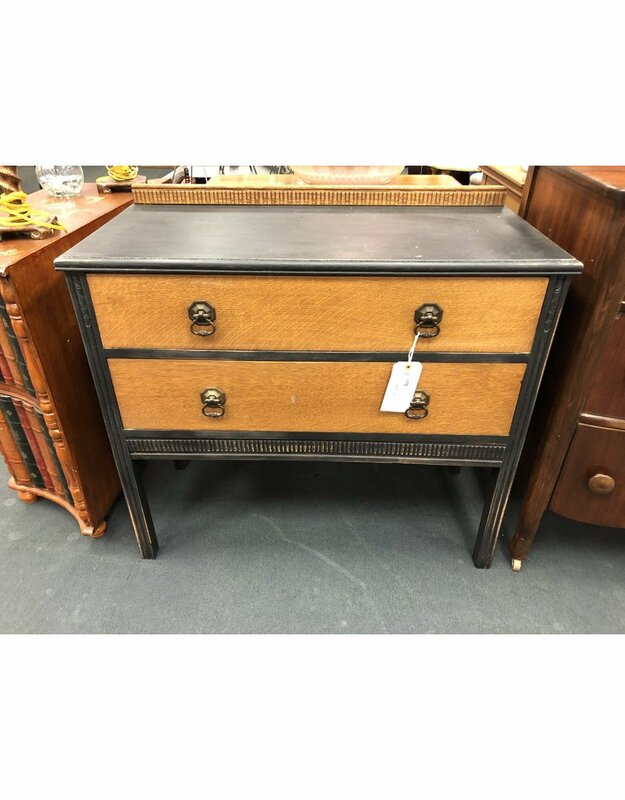 The piece features quarter sawn drawer fronts, dovetailed drawer joint construction, and a hand painted and distressed two tone finish using General Finishes Lamp Black Milk Paint. 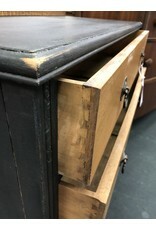 36.5" x 17" x 34"